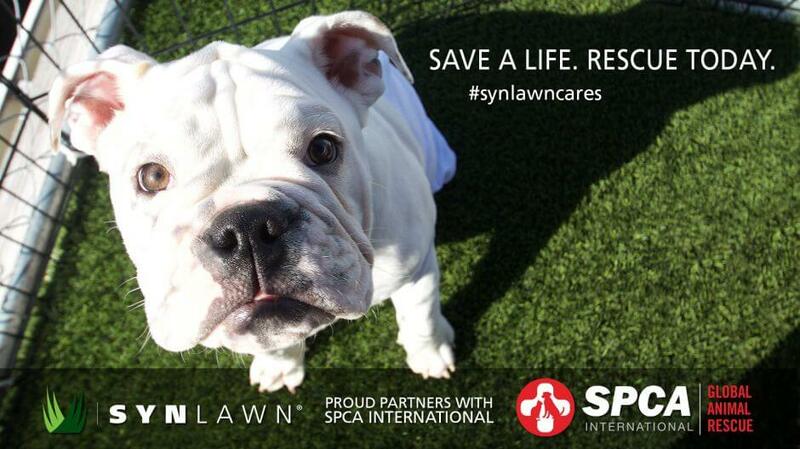 SYNLawn will donate a portion of proceeds and free product installations to promote animal welfare and adoption. DALTON, Ga., and NEW YORK – A major partnership between SYNLawn (synlawn.com) and SPCA International (spcai.org) was unveiled during SYNLawn’s 2017 Conference in San Diego, Calif. SYNLawn hopes to bring awareness to the needs of homeless pets and to promote adoption through their financial contributions and product donations. The leading innovator in artificial grass products for commercial and residential applications, SYNLawn offers an environmentally friendly product line that is safe for animals and keeps pets clean. Designed for both small and large areas, the pet systems utilize organic, odor-absorbing crystals to reduce 80 percent of the odors from pet waste. SPCA International is excited to install SYNLawn’s products at partner shelters where natural grass is impossible to grow or cost prohibitive. “At SYNLawn, we have always strived to create safe and clean surfaces for children and pets. We are pleased that our collaboration with the SPCA International allows us to donate premium synthetic grass in rescue shelters for pets that haven’t always been in friendly environments. The partnership will help raise much-needed funds for pet rescue and adoption,” explained George Neagle, SYNLawn’s vice president of sales and marketing. SYNLawn is offering $250 off pet turf installations to any customer who has rescued a pet from an animal shelter. In addition to their artificial pet grass donations, SYNLawn is committed to helping SPCA International rescue dogs for U.S. military service members stationed worldwide. While on deployment members of the military often befriend stray dogs that live with them on base and become their battle buddies. Through the Operation Baghdad Pups: Worldwide program, SPCA International saves these patriot pets and reunites them with their military friends in the United States. SYNLawn will sponsor at least one of these military rescues in 2017. Additionally, SYNLawn is offering $250 off pet turf installations to any customer who has rescued a pet from an animal shelter. For more information about this partnership or SYNLawn products, please contact Michelle Balicki, SYNLawn’s marketing manager, at 702-354-5051 or [email protected]. To learn more about SPCA International, please contact Stephanie Scott, SPCAI’s director of communications, at 206-999-4341 or [email protected]. As the industry innovator on synthetic grass for landscape solutions, SYNLawn uses exclusive yarn technologies to produce products for synthetic landscape, golf, pet and playground systems. 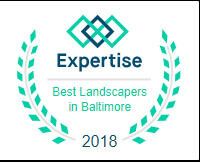 As a vertically integrated manufacturer, SYNLawn offers customers the highest quality products, competitive prices, and the most genuine and strongest manufacturer warranty of 15 years. With the company’s continued growth, SYNLawn now has more than 75 locations internationally. The mission of SPCA International (www.spcai.org) is simple but vast: to advance the safety and well-being of animals. Through outreach, rescue and educational programs SPCA International leads lifesaving initiatives and assists grassroots animal activists. One cornerstone program, Operation Baghdad Pups: Worldwide, helps U.S. troops safely transport the animals they befriend while deployed home to the United States.